“Look, the whip is broken. We have been told that governance is for the government and not for the courts. It essentially means if there is no governance, we cannot do anything”, Justice Madan B Lokur to Prashant Bhushan. 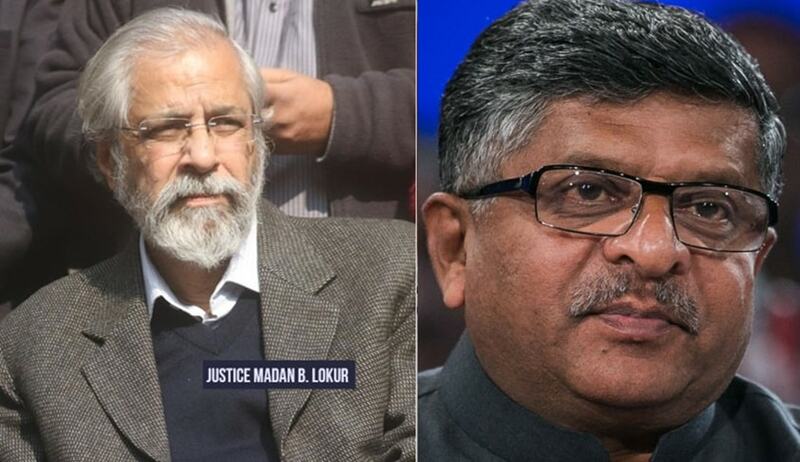 The Supreme Court hearing in a PIL pertaining to urban homeless today saw Justice Madan B Lokur making a veiled dig at the statement made by Law Minister Ravi Shankar Prasad yesterday at the Independence Day Function at SC premises. “We have been told that governance is for the government and not for the courts. It essentially means if there is no governance, we cannot do anything”, Justice Lokur told Advocate Prashant Bhushan, appearing for one of the petitioners, told the bench that SC should crack its whip on the defaulting states, those not providing shelter to urban homeless and not even forming committees for its implementation. “The whip is broken” the bench, also comprising Justices S Abdul Nazeer and Deepak Gupta, said. Bhushan then told the court that chief secretaries of these states, which have not yet constituted the committees, should be asked to appear in the court to explain. PIL related to providing shelter to urban homeless in the country. Comments came when Bhushan told the bench that several states have not yet constituted a committee to deal with the issues of implementation of the Deendayal Antyodaya Yojana-National Urban Livelihood Mission (NULM). Once again criticizing judicial activism, especially related to courts interfering in policy matters, the Law Minister Ravi Shankar Prasad had yesterday said governance must be left to those who are elected to govern by the people and there should not be any interference from courts. The occasion was the Independence Day celebration at the Supreme Court lawns in presence of Chief Justice Dipak Misra, AG K K Venugopal, and SCBA office bearers. “The founding fathers always said governance should be left to those who people of India elected to govern. Governance and accountability go hand in hand. Basic structure theory emphasized it. The 13 benches of the SC should maintain a healthy balance on the basic structure, separation of power. This is how I feel when we need to reflect”, he added. Government’s criticism of judicial activism has been the point of friction between the executive and judiciary several times of late. The government had criticized the SC for quashing the NJAC act and interfering with the administration of the BCCI. Apart from those several decisions with financial implications had also come under attack from the government. “We are proud of the judiciary and are committed to its independence. If the executive makes a mistake, the judiciary must step in. But my problem is with governance. Governance and policy-making must be left to those who are entrusted with the task,” he said. Similarly, Attorney General K K Venugopal had on August 8 told the bench that it should refrain from making hard-hitting observations while hearing public interest litigation matters since these impacted other issues plaguing the country.